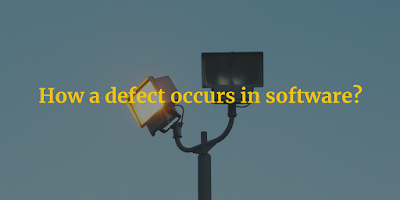 As we have seen in last article that failure and defect can be leads to the big damage of the application but here we will note down all the points from where defect and failure can be occurred and how we can prevent the same? 3. Design and work flow may be complex and not user friendly. 6. Some damage in device where application have been installed. This all are the reasons for defects and failure. Let me explain you again about Defect, Error and Failure. Error: When any mistake have been caught in code by developer team then it can be an error. It can be generated by human error or with some improper values which have been entered in filed and that filed can be associate with other functions of application. 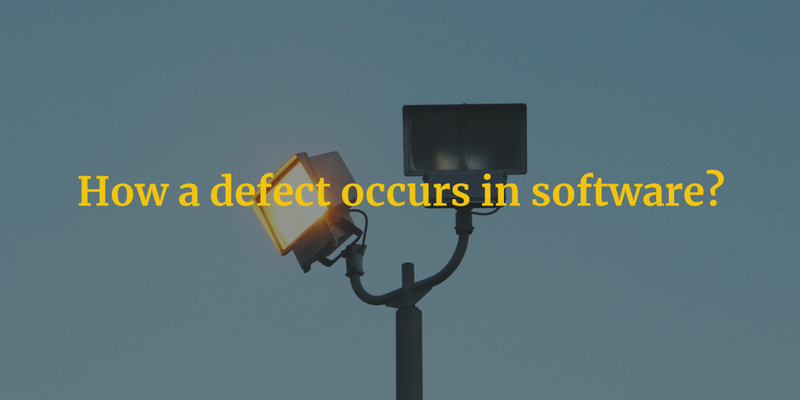 Defect: when an error have been caught by testing team then it became defect. Failure: When any system will be crashed due to any defect then it can be called failure. Failure can leads to wrong result. For delivering project on time, we may forgot to give special attention on the important part of an application. It may occur failure. In review of application it may caught but while delivering same it may be left by team. This kind of reason is leads to failure. Even failure can be generated by the person who really wants to break the system. Here we can take an example of hackers, who will always try to break the security of application. Let’s understand each points in detail. Requirement is not clear: In Requirement documents functional and non-functional details can be explained in detail. Like with picture and charts, each functionality should be explained. As we know, to test an application coding knowledge is not required but with help of requirement documents only a person can test the application. So if Business analyst will make any mistake in documents then whole application will lead to failure. Implementation of different methods in software: There are different types of methods for testing. We will learn the in further article. If this methods are not applied correctly in application then it may lead to failure. Black box testing, white box testing, static testing, dynamic testing, security testing, GUI testing, Performance testing, System Testing, Functional Testing, Integration Testing, Stress Testing etc. This all are the different types of method of testing. This all must be applied properly otherwise testing procedure can lead to failure. Design and work flow may be complex and not user friendly: If complexity is more in application then it is quite tricky for user to use it. Due to complex work flow. Developer team and testing team will not be able to get maximum bugs in early stage of software development life cycle. Sometime developer team will not understand proper requirement and same thing can be happen with testing team too. Thus, critical issues can be arrived at last stage of application cause of lack of understanding of team members. It may leads to the failure. Delivery date will decided in near future but if critical bug will be occurred in application then it won’t provide good quality. Errors for system versions: If application built for latest version and older version is installed in system then it may lead to the failure. Thus, before moving further with the installation procedure, this pre-requisite must be explained to the testing team and client so they can start using application with proper system versions. Errors can be in environment: Environment must be configured properly for application. If configuration is not done properly the application will not give expected result and it may lead to the failure. Thus, mention all steps in pre-requisites for configuration of application which will give expected result for the application. Some damage in device where application have been installed: This step is important and it can be taken care by testing team and user that damage device should not be used for the application. It may lead to the failure but it is not defect. So before using any device for application its user’s responsibility that device should work properly. Risk of Error: If error will generate or detect in early stage then it will be a positive sign for application but when critical defect occurred in last stage of application then it may lead to the failure. Thus, testing team needs to focus on work at the early stage of testing so failure can be prevented.